Students from Stellenbosch University sample vegetation along a transect at Mt Shannon Plantation in the Midlands of KwaZulu-Natal. This is the first of a series of articles sharing key findings of on-going research conducted by the Mondi Ecological Networks Programme (MENP). 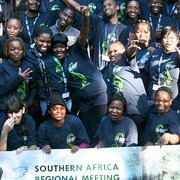 This research group is based at Stellenbosch University, and is led by Prof. Michael Samways. 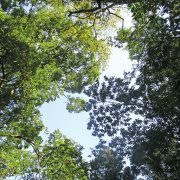 The group’s central aim is to develop and fine-tune design and management principles for ecological networks (ENs) within forestry plantations. Declining levels of biodiversity in production landscapes is a global phenomenon, a global problem and a global priority to solve. In South Africa, habitat degradation and transformation are major causes of such declines, especially in the grassland and fynbos biomes. In part, habitat transformation goes hand-in-hand with economic development, and is necessary to satisfy the demands of food and fibre for the ever-growing human population. However, it also puts extreme pressure on biodiversity, as remaining grassland patches are declining in size and increasing in isolation, so losing their ability to maintain the necessary variety of life forms (i.e. biodiversity) needed for ecosystems to function properly. Properly-functioning, intact grasslands have sponge-like characteristics allowing them to regulate the infiltration, retention and release of water, even long after the end of the rainy season. 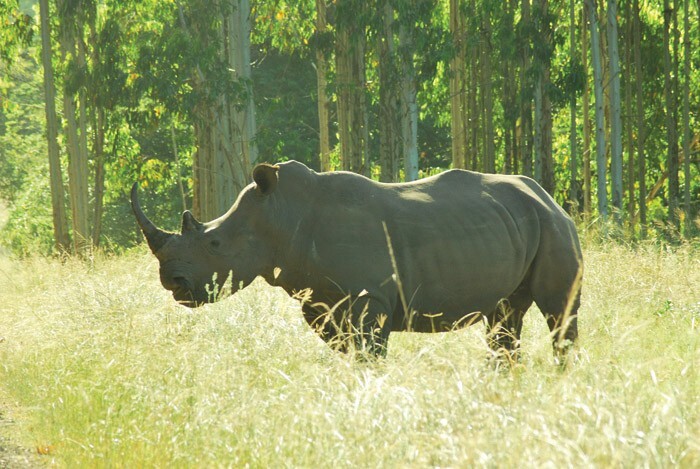 Protecting the habitats that provide these ecosystem services are especially important within the context of the current drought in KwaZulu-Natal. There are two complementary approaches to integrate biodiversity conservation and commercial activities in production landscapes, namely land sharing and land sparing (see *Footnote 1 at bottom of post). As the name implies, land sharing is where the conservation and utilisation of natural resource share the same physical space. This strategy is most suitable for low intensity land uses, e.g. game farming, or moderate grazing by domestic livestock. Land sparing is more suited to high intensity land uses, such as plantation forestry or pastured livestock grazing (for dairy and meat), as it involves permanently setting aside a certain portion of land for the conservation of biodiversity. In these cases, land users acknowledge the large detrimental effect that their commercial practices have on local biodiversity, and aim to mitigate these losses at landscape scale by providing natural spaces for species to inhabit outside of commercial compartments. The added benefit of setting aside land for biodiversity conservation is that it decentralises the provision of the key ecosystem services, and so reduces risk to the quality of human life. Land sharing and sparing approaches are meant to complement, and not replace formally protected areas (PAs). PAs often do not cover the geographical ranges of all species, leaving some of them without the optimal level of protection. In fact, farms and forestry plantations often occur in regions where there are no PAs (e.g. nature reserves or national parks) nearby. This is especially true for biodiverse regions where species assemblages organize themselves along major environmental gradients and topographic features not fully represented in only PAs. Without conservation in production landscapes, whole species assemblages can easily disappear, especially when viewed within the context of wet and dry climatic cycles that necessitates movement of species to find alternative habitat (see **Footnote 2). Such losses of key species could affect ecosystem function (e.g. productivity), and its ability to recover after major environmental disturbances (i.e. its ecological resilience), which has implications for the long-term sustainability of natural grassland utilisation. Ecological networks (clearly seen in the photo above) provide habitat for a myriad of species (below) that would not have been able to inhabit commercial parts of the production landscape. Plantation forestry is an intensive land use that adopted a land sparing approach to combat biodiversity loss in their plantations. This has involved spatial separation of commercial and non-commercial areas, which amounts to 500 000 ha left permanently unplanted at national level. Unplanted areas consist predominantly of natural habitat (e.g. 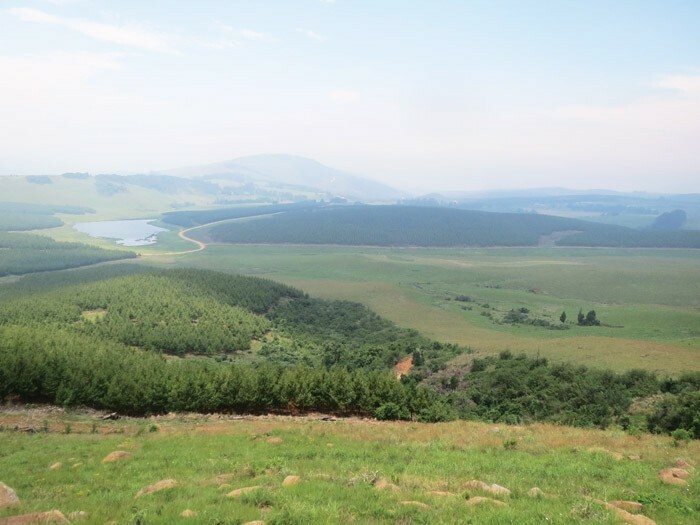 forest and grassland), but also include maintained areas, such as firebreaks, and special landscape features, such as rocky outcrops, and wetlands. These areas form part of an ecological network (EN), which is an interconnected system of conservation corridors, and all remaining natural habitat patches in the production landscape. Conservation corridors facilitate movement and gene flow necessary to make the system more cohesive and more resilient to environmental change. Ultimately, the ENs support more biodiversity than if each small natural area was considered on its own. Planning of ENs follows a predominantly landscape spatial scale approach, and targets large-scale processes that drive patterns of biodiversity. Thereafter, it considers individual threatened or iconic species (e.g. blue swallows or white rhino) whose successful conservation will also grant protection to a myriad of other species. 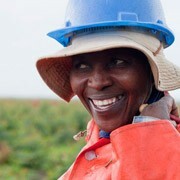 A major success story is found in the northern parts of KwaZulu-Natal. 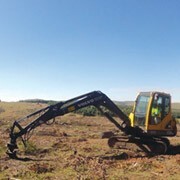 Here, SiyaQhubeka Forests actively worked with government and conservation authorities in iSimangaliso Wetland Park, a World Heritage Site, to remove thousands of hectares of pine plantations wrongfully planted on hydromorphic soils i.e. soils formed by water movement and saturation (http://newgenerationplantations.org/en/casestudies/18). These soils indicate the position of subterranean drainage lines that feed water into Lake St. Lucia, which, in turn, creates refuges for freshwater fish and other aquatic species that cannot survive in the saline conditions characterizing the rest of this estuarine system. After plantations were felled, areas were left to recover to natural grassland. 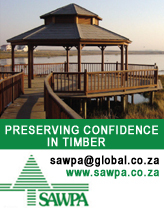 There is no fence between SiyaQhubeka Forests and the Western Shores of iSimgangaliso Wetland Park. This means that large mammals, such as white rhino, buffalo and elephant, can move freely between the two. Usually, this is a feat only possible for birds, and smaller animals, including invertebrates. Assessment of the performance of ENs largely focuses on the species level, as species are the building blocks of habitats and ecosystems. As such, they are very sensitive to changes in the landscape. The identity of individual species and their abundances are used to draw a high resolution picture of species assemblages indicating current quality of habitat (see ***Footnote 3). These pictures of habitat quality can be used to monitor trends and make informed management decisions in grasslands. In addition, they can be used to determine how well different parts of an EN perform when compared to the yardstick of formally PAs. After all, the EN approach to conservation in production landscapes is still relatively new and needs to prove itself worthy of further exploration, and expansion. 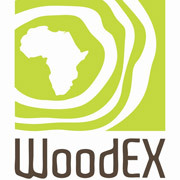 Yet great progress has been made by the Mondi Ecological Networks Programme. Two separate studies made comparisons between good quality habitat in wide parts of the EN and the PA. 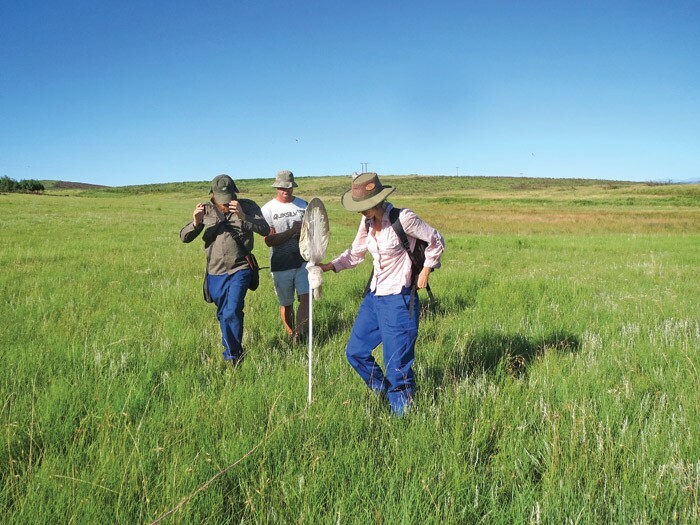 The first study dealt with plants in SiyaQhubeka Forests adjacent to iSimangaliso Wetland Park (Joubert & Samways 2014), while the other focused on various invertebrate groups at various localities (Pryke & Samways 2012). 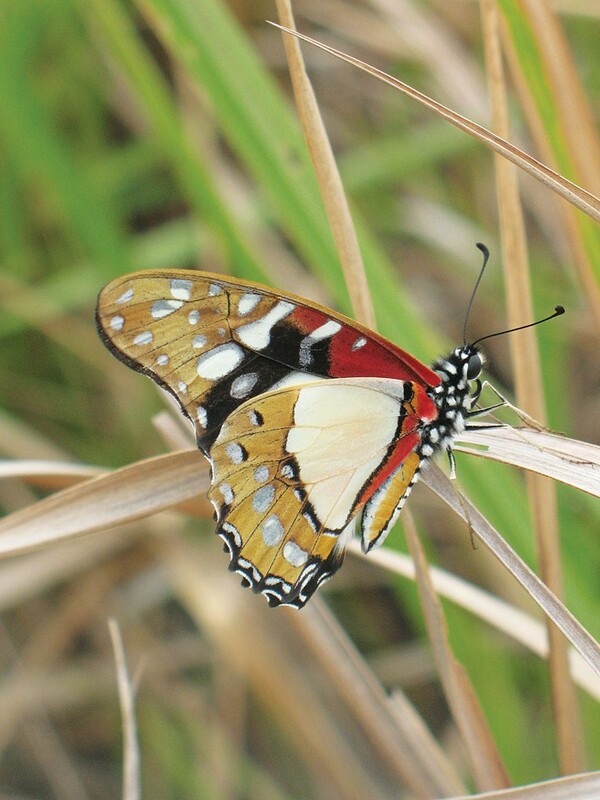 Both found grassland habitat in the EN to be similar to that of the PA, which means that most species are equally likely to reproduce successfully and complete their life cycle under both conservation regimes. Furthermore, ENs function as extensions of PAs expanding the home ranges of species beyond cadastral boundaries. This equivalence between good quality ENs and PAs offers a ‘best case scenario’ that strengthens the case for this approach to conservation in production landscapes. However, we know that not all corridors in ENs function this well. Over the next few months, we will share key factors that enhance or erode biodiversity value of ENs. Watch out for the next article regarding optimal design of ENs. How ENs function is highly complex, as it involves all the various preferences of all different life forms present. For this reason, the same part of an EN can perform multiple functions for species groups (i.e. taxa) with different habitat requirements, or even for the same species during different life stages (e.g. larvae, pupae, and adult). Therefore, function is always linked to a specific life stage and/or a specific species. The main functions are habitat, movement, filter, barrier, source, and sink. ‘Habitat’ implies that the species of concern has all the necessary resources within reach for it to complete its entire life cycle, and produce offspring. (Please note functions in italics.) Successful reproduction within ‘habitat’ corridors renders such areas ‘sources’ of propagules (e.g. seeds or young insects and other animals, and fungi) that can ‘move’ to other parts of the EN. The degree of movement can be divided into ‘filter’, i.e. letting some species or life stages through, vs. ‘barrier’ i.e. barring all movement to adjacent areas. If a species does not find a corridor suitable to all of its needs, it will die before it reproduces. Hence, that part of the EN will be a ‘sink’, once again, bearing in mind that this function is linked to only the specified life stage or species. • Repopulate ‘sink’ localities in case of local extinction, which can be a natural phenomenon or due to chance events (such as a storm, or a flood). Meta-population dynamics depend on functional connectivity among populations, and more ‘source’ than ‘sink’ populations. ‘Source’ populations occur in ‘habitat’ patches of good quality and sufficiently large size, as they have to sustain a large number of individuals that can successfully reproduce and disperse to other parts of the landscape in search of additional habitat. Inevitably, some of these dispersal events will end unsuccessfully at ‘sink’ habitats. 7. Within the context of metapopulation dynamics, maintain habitat quality, increase patch size and reduce patch isolation. A metapopulation consists of a group of spatially separated populations of the same species which interact at some level – Wikipedia.